On April 24, 2012, Google announced an update that shook the SEO world. The Penguin update targeted webspam head on through both algorithmic and manual penalties. Its main aim were sites engaging in “black hat SEO” tactics such as keyword stuffing and link schemes. Google, being in the business of providing searchers the best content possible, devalued websites engaging in manipulative tactics. Largely penalizing sites with lots of link spam, and unnatural backlinking. Those who experienced these penalties had to spend many months cleaning up their sites in order to recover. They relied on Google’s slow roll-out of Penguin updates (every few months) in order to see any lift in algorithmic penalties on their sites. Now, more than four years later we still hear about Penguin and its impact on the SEO community. In particular, Penguin 4.0 which was announced late September. This update added Penguin to the core algorithm making it real-time. 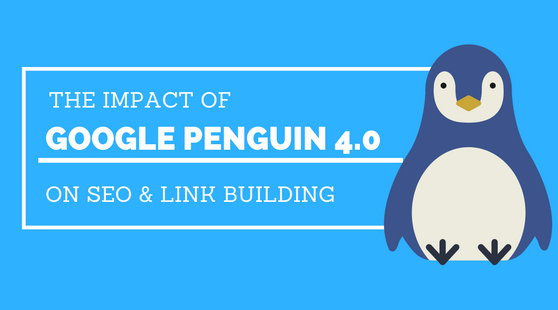 Below are some of the questions you might still be asking yourself about penguin 4.0 and its impact on SEO. Penguin 4.0 is unlike the past updates we’ve seen, and should be considered more an improvement to Google’s core algorithm. This means it will update in real time and work to devalue spammy links rather than demote the sites they are pointing to. This is something to be really excited about! Negative SEO will become less of a concern, meaning SEOs can spend more time making potentially result-driving changes and less time taking precautionary measures to clean up spammy links. Penguin is now more nimble than ever, and webmasters don’t need to “wait and see” what Penguin will do to their rankings any longer. It will also be harder to detect when penalties occur, as they may occur at page level rather than the whole site. If you are following Google’s guidelines then you shouldn’t have any cause for concern. However, if you are participating in manipulative tactics you could potentially see penalties even faster than before. Should I still be Disavowing my Links? After the release of this announcement there were a few questions surrounding the use of Google’s disavow tool. While the disavow tool is no longer a necessary part of penalty recovery it still helps Google create better search experience. Whether you disavow or not should make no difference to your rankings as spammy links will be devalued rather than demote pages. Should I still have spammy or unwanted links removed? Having, or attempting to have low quality or spammy links removed was a common part of the disavow process in the past. Link removal or, “link pruning” is the process of having websites manually remove a link to your site that you deem spammy or low quality. Google originally suggested making 3 attempts to have a link removed before disavowing. So the question remains, should you continue to prune links even if they are not demoting your pages? Short answer, yes. Long answer – it’s really up to you. Let’s say a site that is linking to you has content that your brand either doesn’t want to be associated with or has nothing to do with. Wouldn’t you want to cut that connection? Poor quality metrics: If the site has low-quality metrics in terms of domain authority or has a high spam score you might not want a link from it. Metrics don’t tell the full story, however, there is a possibility that the site is doing something phishy. Spam or Inappropriate content: If the link is on a site or page that you’d be embarrassed to show your mother, you may want to prune it. Irrelevant content: If you can’t figure out why your content would appear there, then it probably shouldn’t be there. Should you Reclaim your Disavowed or Pruned Links? While this seems like a no-brainer people actually pose this question quite often. The links in your disavow or prune file made it there for a reason. While maybe there are a few instances where sites improved, it would take you a long time to figure that out. Far longer than any of those links will be worth your effort. I would advise you to let them go. Should I stop Link Building because of Penguin 4.0? Link building has been here for years. The truth is, the internet is built entirely on sites linking to each other, and that isn’t going to change post Penguin 4.0. Link development is a key part of SEO strategy – and actually, it’s never been more important. Links help build authority, get referrals, increase brand awareness and increase organic search performance. You shouldn’t stop thinking about them, but you should rethink how you earn them. All of the above are long-term, natural and safe ways your site can see link growth. While short-term tactics for link building used to be all the rage, there are no shortcuts to building high-quality natural links any longer. The bar for getting a link is now set twice as high. It takes time, effort and most importantly content to build high-quality links. Overall, Penguin 4.0 should have a positive effect on the SEO community. It negates the possibility of negative SEO and makes webmasters more accountable for providing useful, quality sites and holds them less responsible for cleaning up spam. The best way to figure out whether you have been positively or negatively impacted by Google’s update is to monitor analytics and ranking data. See if there are any noteworthy lifts or drops in rankings or traffic. It may be hard to see immediately, but you won’t know unless you regularly measure your site’s performance. If you have concerns that Penguin 4.0 might impact you negatively due to your current backlinks you can audit your current backlinks to establish which need to be pruned and which are quality enough to keep. Then, establish quality guidelines around which links you wish to keep and which you do not. Reach out to the webmasters of those you wish to not keep requesting they be removed. With less time needed for “SEO janitorial work”, it leaves no excuse for not creating content. Without content it will be hard for you to achieve link growth, which is essential for authority building, brand awareness and better rankings. If you already have a good amount of content on your site you can now focus your energy on making it even better. As discussed above, there is no need to revisit the list of links that once were disavowed or pruned from your site. It’s likely that no good will come from spending time reclaiming these links. 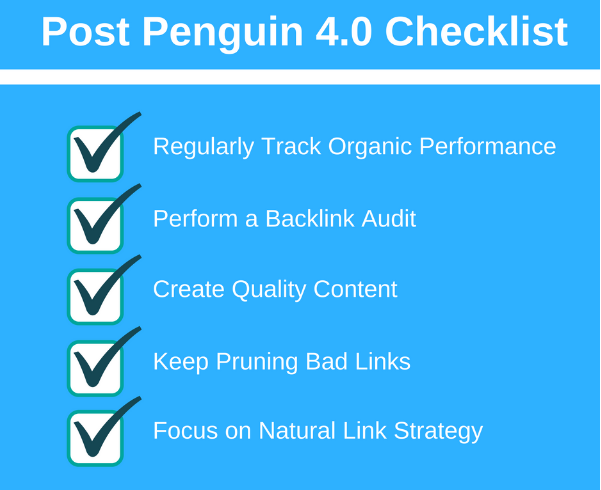 Taking a long-term, content driven approach to growing your backlink profile will become even more important post Penguin 4.0. Consider ways that you can integrate link growth into your public relations, content creation and other marketing efforts so you can set yourself up for long-term success. 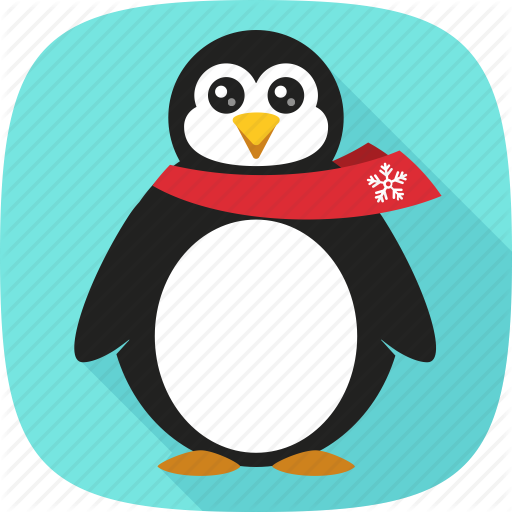 Penguin 4.0 is a much needed and awaited change to Google’s core algorithm. If you focus on driving natural link growth, creating fantastic content and maintaining quality links then you have nothing to worry about! 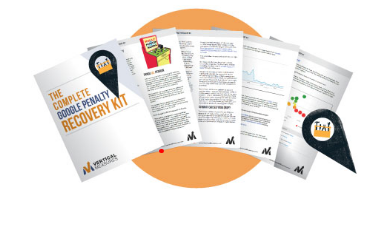 If you’re afraid that Penguin 4.0 might have a negative impact on you then check out this Complete Google Penalty Recovery Kit for more information about how you can stay penalty free. Kayla Tarantino is the SEO Link Manager at Vertical Measures, a Phoenix Arizona based SEO and content marketing agency. There she leads a link development team to develop strategies that drive link growth for clients. Kayla is also regular contributor to the Vertical Measures blog.